A trial date has been set for a former college student accused of randomly killing a Tequesta couple and chewing the face of the dying husband. 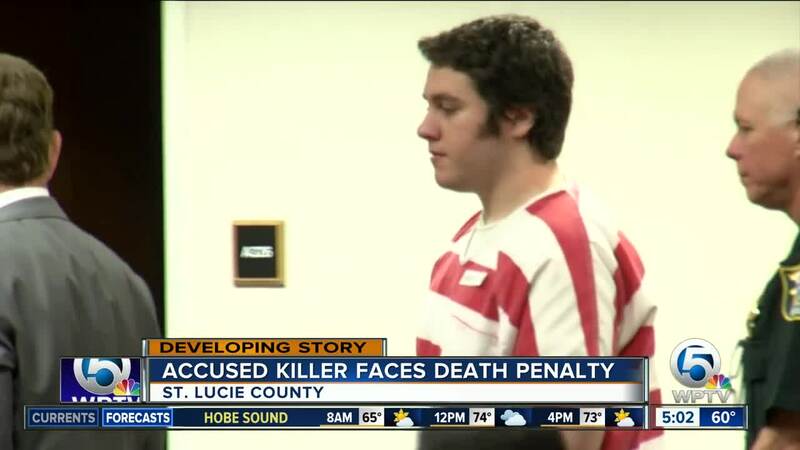 STUART, Fla. (AP) — A trial date has been set for a former college student accused of randomly killing a Tequesta couple and chewing the face of the dying husband. Treasure Coast Newspapers reports that Circuit Judge Sherwood Bauer Jr. on Monday set a June 17 trial date for 22-year-old Austin Harrouff. Harrouff faces two counts of first-degree murder. Martin County prosecutors say Harrouff attacked John and Michelle Stevens outside their home north of Palm Beach in August 2016, stabbing and beating them to death. When deputies arrived, they say they found Harrouff chewing on John Stevens' face. Harrouff also is charged with first-degree attempted murder in connection with injuries to the couple's neighbor, Jeffrey Fisher.